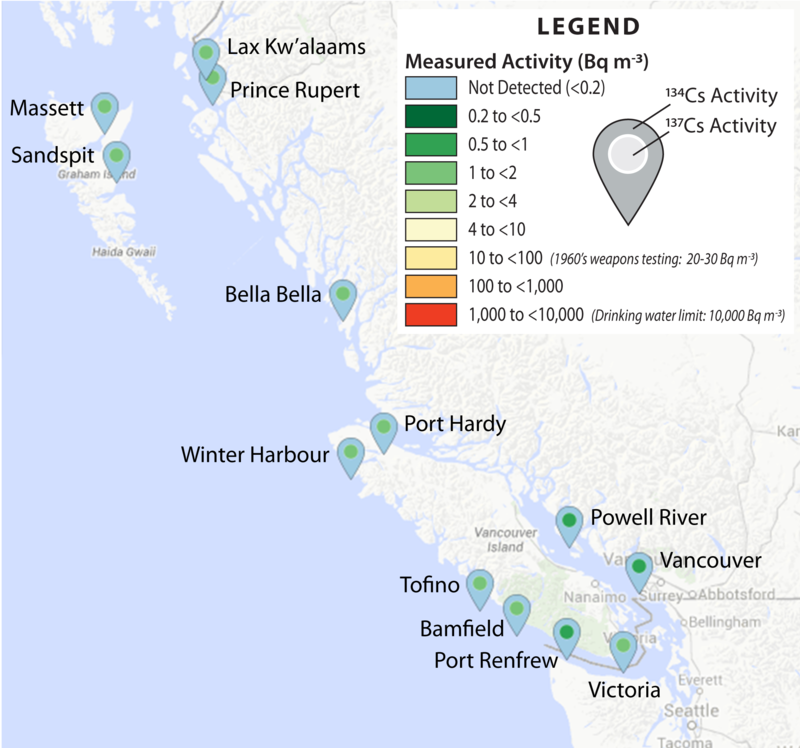 The absence of any detectable 134-Cs (an unambiguous fingerprint isotope of Fukushima contamination) in the seawater samples indicates that as of November 2014 these locations covering the length of the British Columbia coast have not be affected by ocean currents carrying Fukushima contamination. 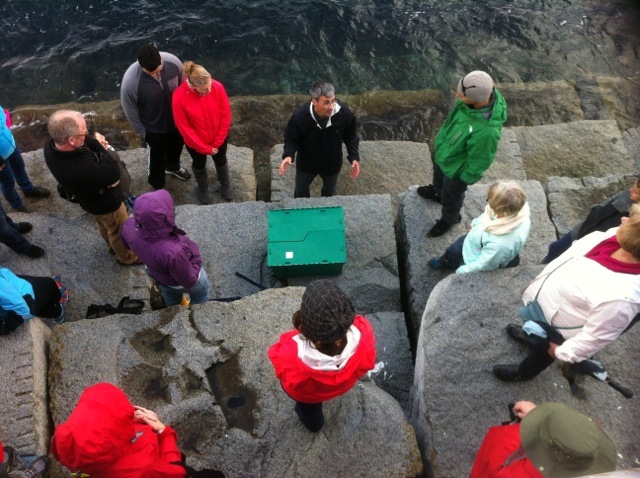 Newly added results come from seawater samples collected in collaboration with citizen scientists at the following locations in British Columbia, Canada during November 2014. The absence of detectable 134-Cs indicates that waters near these locations spanning the length of British Columbia have not been contaminated with Fukushima radioactive elements transported across the Pacific by prevailing currents as of Nov 2014. The presence of 137-Cs is due to historical sources of this human made isotope owing to atmospheric nuclear weapons tests in the 20th century and contamination from the Chernobyl disaster in 1986. You can read about the levels of 137-Cs in the North Pacific pre-Fukushima here. More results will be published as they become available.